Could the Worldwide Media Help Stop Terrorists? Here’s an idea. How about if ALL the world’s largest media entities simply stopped publishing any pictures or video of terrorists. No YouTube, no Facebook, no Twitter, NO PICTURES OF ANY KIND. They would still publish stories, but no pictures would show Islamic Butchers beheading journalists, blowing up mosques, or shooting their machine guns from the backs of jeeps. Google, Twitter, Facebook, and every other social network would agree to immediately take down ANY terrorist videos, pictures, or blog posts. What would happen if every terrorist group simply lost their world stage? Their activities would be reported on only in plain-vanilla words. They might have a harder time recruiting, if no one could access the bomb-building instructions online. 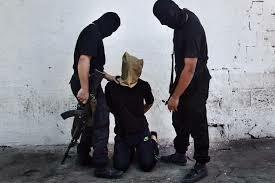 I have always wondered why it’s so easy to get pictures of terrorists doing their evil work-if we can take the pictures, why can’t we simply blow them up? BBC, NY Times, Bloomberg, Sky News, Wall Street Journal, CBC, Associated Press, Washington Post, Times of London, Reuters, YouTube/Google, Facebook, Twitter-DO YOUR PART TO STOP TERRORISM. And no BS about “freedom of the press”. Press freedom also includes freedom NOT to publish. Still Warm Where You Are? Watch This and Cool Off! The way the water goes is called “laminar Flow”. Enjoy! That the cop shot the teenager without provocation (the “killed for being black” assumption). That the teenager was by definition weaker than the cop, and was simply walking down the street when shot. That the witnesses’ stories were accurate, including those that said the teenager was shot in the back, or he had his hands up and was trying to surrender. 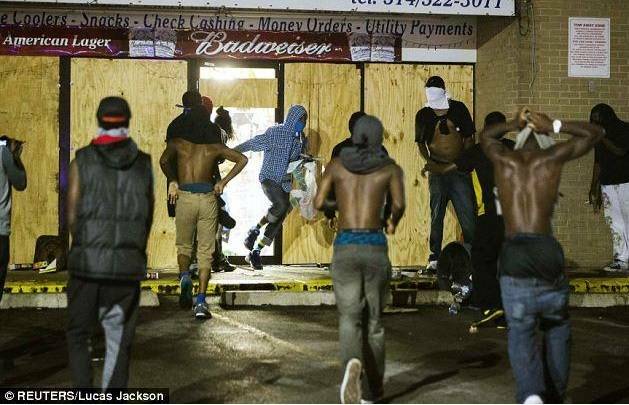 That the many protesters who rioted and looted businesses in Ferguson were local residents. Let’s counter some of those assumptions. 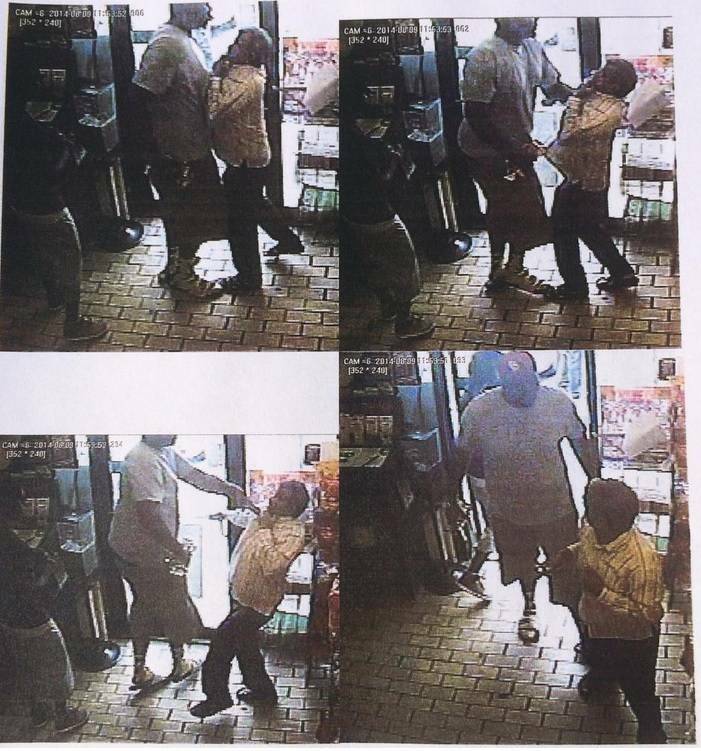 Michael Brown was 6 feet 4 inches tall and over 300 pounds. He was a rather intimidating presence, certainly much bigger than the policeman. He didn’t need to be “armed” to be a threat. And, from photos widely released, it appears that he and his “witness” friend Dorian Johnson, had just robbed a local convenience store. Innocent? Possibly not so much. And why is there no mention of the POLICEMAN’S INJURIES? He was punched in the face by the unarmed teenager, sustaining terrible fractures. Also widely distributed are pictures of the “protests” that took place in Ferguson after the shooting. What these pictures and videos show is that, along with some local residents, there were large crowds of New Black Panthers and Revolutionary Communists, inciting the crowd to looting and violence. And there’s the way the Press covered the incident. How about the National Media saying that it’s okay for the upset blacks in Ferguson to destroy and loot local businesses? Yes, this story appeared in the Washington Post. And here’s another one. It does not look like the poor young man in Ferguson, MO made the choice to be good. His path, like that of so many like him, pointed elsewhere. The cop who killed him may well have overstepped, or not, that is being investigated. But the dogma of the left remains exposed once again. These young black men, like Travon Martin and Michael Brown and the host of other young black men who die on the inner city streets of America, have accepted the liberal dogma and denied their own hand in their own choices. They do not choose to be good, to do the best with the opportunities afforded them and the hucksters give them cover. The result is yet another chapter in an unending tragedy. So, everyone, don’t just believe everything you see or hear. Get the real facts. Don’t jump to conclusions about the standard Liberal narrative that the big, bad cop shot the poor, little, innocent black teenager. It did not happen that way at all. And I give a huge shout out to the Gateway Pundit, whose reporting from the local scene has been invaluable. Thanks! In my not-so-humble opinion, Islam is EVIL, and must be destroyed. This story is posted on Ricochet, by a new member who is a Swedish Jew. It tells the sorry tale of her and her children’s systematic persecution by others in her (formerly) civilized country. Remember when Sweden’s society was emulated as an example of a country where all were treated equally and fairly, the standard of living was uniformly high, and there was virtually no poverty? Those days are over. Pretty much the entire region of Western Europe has descended into a slough of high unemployment, declining standards of living, legalized euthanasia and drug use, and near-total absence of religion and morality. Along with this has come increased levels of immigration from Muslim countries. From her story, you can see how average citizens of nearly every European country are increasingly expressing distaste for Jews, and hatred of Israel, fed by Muslim fanatics who are allowed free rein in most places. There are entire towns that have been taken over by Muslims, and their populations intimidated. The de-emphasis on marriage and child-bearing is another consequence of declining religious values and church attendance among Europeans-their societies are experiencing actual reductions in population, EXCEPT among the Muslim immigrants, who have many more children. This situation can only end badly, with European countries hollowed out from within, their people losing the will to live and do things for themselves, their economies devastated by welfare systems that reward sloth and discourage individual initiative. And their declining morals are already feeding the anti-Jewish sentiment, making the lives of their remaining Jewish citizens a living Hell. Read Annika’s story, and take the lessons to heart. If you pay attention to the Daily Post on WordPress, you saw a couple of posts regarding BlogHer, the convention/meeting for women bloggers. Now, there’s absolutely nothing wrong with a bunch of women who are bloggers getting together to trade tips, techniques, and stories, but I fail to see why there is a crying need for a specifically female bloggers support group. In case you hadn’t noticed, women are generally recognized to be more verbal than men, scoring higher on all measures of verbal facility from the time they can talk. Since the rise of Feminism in the late 1960’s, the narrative has been that, as a group, women have been oppressed, exploited, and discriminated-against. There are special laws dictating more-severe penalties applied to crimes against women than crimes against men. Women’s health issues are considered to be much more important than men’s health issues. Women get special treatment in many areas of daily life. Special efforts are made to encourage women to choose careers in STEM (science, technology, engineering, math) fields, and other “non-traditional” occupations like construction and auto assembly. Young women are inculcated with the belief that they should go to college, have a career, and aim for the executive suite. Since the late 1970’s, women have made up nearly 60% of college students. Right now, women make up 47.2% of law school students, 51.5% of management, professional, and related positions, and a total of 46.9% of the labor force. Women have been elbowing aside the men for decades, and now comprise 14.6% of corporate executives, and hold 16.9% of corporate board seats. For all intents and purposes, women are the equal of men in everything they undertake. So women are NOT downtrodden, exploited, or excluded from any activity in which they wish to engage, and maybe we should just celebrate ALL bloggers, not just the women. As a woman, I do not want, or need any kind of special treatment. I don’t join any exclusively-female groups, since I like the company of men, too. I am a BLOGGER, not a Woman Blogger.